I’m using Red Heart Gumdrop color smoothie which is a teal blue variegated color on the Yes Yes Shawl. It’s very soft and when I look at the shawl it reminds me of butterfly wings! The yes yes shawl is turning out beautiful. Thanks Michael for the pattern and sharing this. It so lovely. I have some of that same yarn and had no idea what to make with it…thank you so much…I had gone with the glam navy shimmer but that will be another one that I make. Hello Mikey,many thanks to the useful videos. I’m trying to know how I can participate? 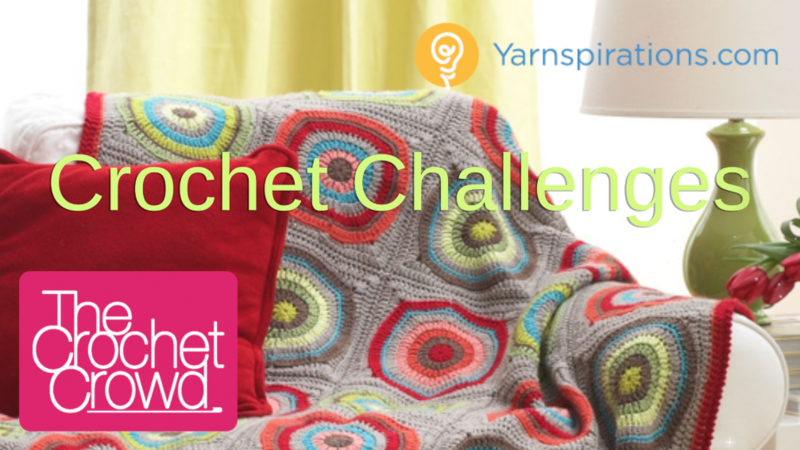 Did you release the video for this challenge and the pattern yet? I am a newcomer to the Crochet Crowd, and have not done a challenge before. How do I get involved, get the instructions, etc? Unfortunately, I won’t be able to view the videos as I live Beyond the Void, in the WA Cascade Mts. and have a data limit with my satellite internet… But I want to try, even if I am late starting! Yes…I have constructive feedback. DON’T CHANGE A THING! You are a wonderful teacher and a pleasure to learn from. The negativity you had to read was sad and unnecessary. 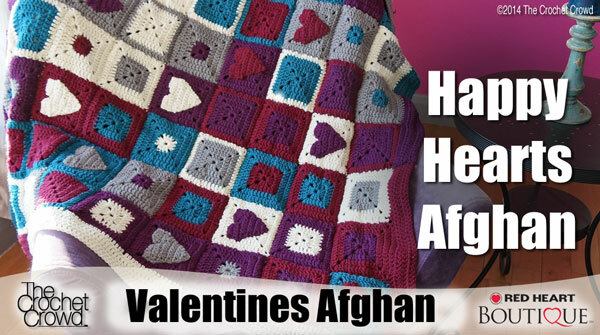 This afghan is outside “many” of our comfort zones…but that’s the fun part! You said at the beginning it would be spectacular … and so it SHALL be. Thank you for all you do Mikey. Me too, seven days a week. Unless the kids come home, I don’t even realize it’s the weekend. However, I was wondering the same thing. I like the drape of the blue shawl pictured on the challenge page, and the yellow one in the pattern appears much smaller. You mentioned that the pattern is rather smallish. To make it the size of the blue, How would one go about enlarging it? The pattern begins at the point, so I just keep going, until I am satisfied? Or do I need to add some width at some point? I love this one, and I can’t wait to dig in! Running spell check might help. if I want to make this a larger sized shawl, how much more yarn will I need? Your sample in light blue looks bigger than the pattern pic. 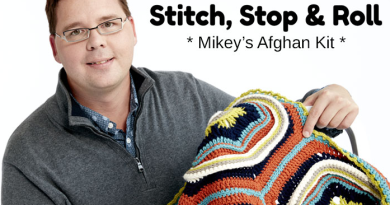 Hi Mikey, I am looking forward to doing this challenge and am wondering when the pattern will come out. It is suppose to come out today isn’t it? I see the video but where can I print the diagram and instructions? I am very much looking forward to this challenge! Coincidently, both Paton’s Glam Stripes and Bernat Sheepish Stripes were on clearance at my local store this week, so of course, I had to buy them both. Maybe I’ll be doubly challenged. I am also excited to start as this is another first for me, I have yarn waiting with hook in hand. Thank you Mikey and keep those great videos available, I love them. I’m ready! I’ll be using Caron Simply Soft in yellow. Counting down until we get started! How complicated will the shawl be. I am not an experienced crocheter. I have never tried one before because they look to hard. Greetings! I have some RH Unforgettable and I believe that this yarn stripes pretty gradually. Would this yarn be appropriate to use for this project? I know that this yarn is more like a light-worsted, but it is pretty comparable to the Caron SS Light. Any guidance would be greatly appreciated! Thanks and I am looking forward to the next challenge! 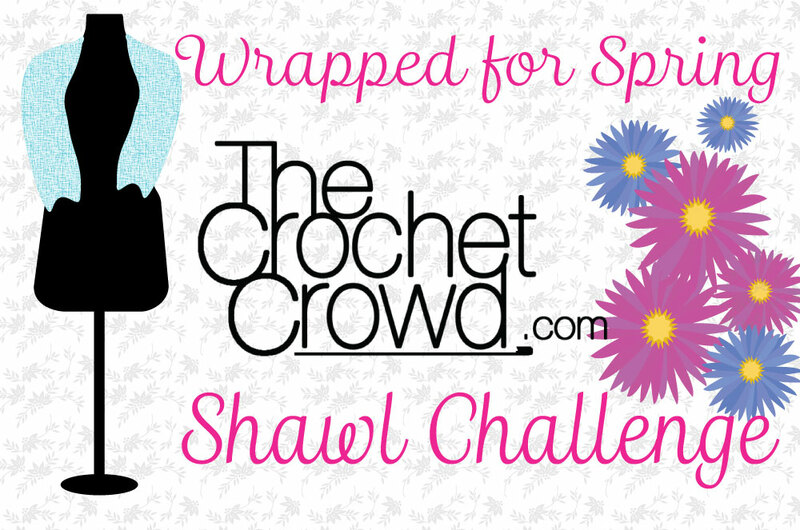 I am looking forward to this shawl challenge. I have always wanted a shawl but never made one before. Thanks Mikey. I am glad there will be a video tutorial. Tonight you shared a picture of a pillow that had the word LOVE on it. The V was a rainbow colored heart. It was like a graphghan. Wouldn’t it be fun to do that pattern as one of the challenges? For those of us that have never done a graphghan, it would be the perfect size to begin. You could do your video tutorial on it for those of us that are more visual learners. I think it would be a huge success. What do you think???? What about Red Heart Super Saver??? This is the only yarn that I buy. 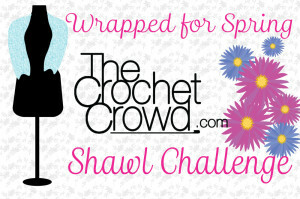 Can’t wait for this Shawl Challenge to begin. I really want to make a shawl. Looking forward to this. I have been wanting to do one of your challenges. 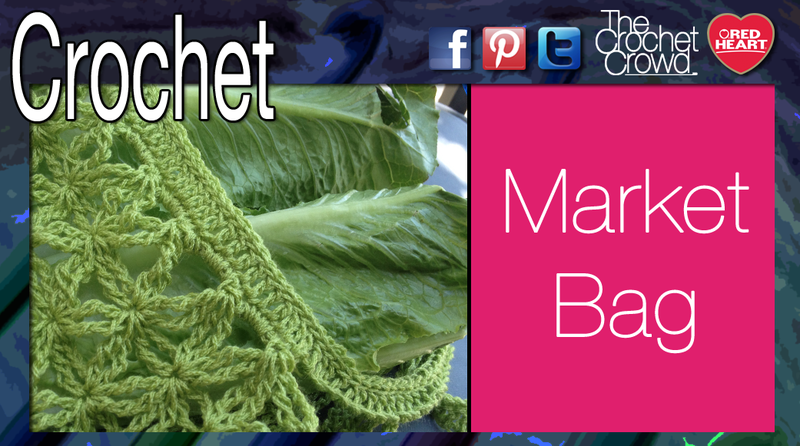 I am always looking for new shawl patterns since I crochet for a prayer shawl ministry at my church. I already ordered my yarn. Can’t wait to get started. I love being in the loop with all these beautiful challenges. I have mae hats, scarves, and afghans for my family, but never anything for myself. I am doing the mystery challenge and I love it. It will be about the right size for me and my little teacup chi. Mikey I love your tutorials as they are very clear. I do not usally do things out of my comfort zone as I am very OCD, but I’m trying to do better. Seeing all the beautiful things on the facebook page makes me want to try. Thank you for all you do for us crocheters. Look forward to starting the shawl.